It is no secret in the game of basketball that the point guard is arguably the most important position on the floor. If you take a look at any successful basketball team, they all have one thing in common: great point guard play. The point guard is tasked with getting their teammates involved and carrying the scoring load if needed. Recent graduate Ty Petty did exactly that for the Middle Tennessee Blue Raiders. Petty was a catalyst offensively last season. She averaged a little over 18 points and five assists per game. Petty’s eligibility has run out however, leaving this Blue Raider team a big void to fill in both production on the score board and leadership. 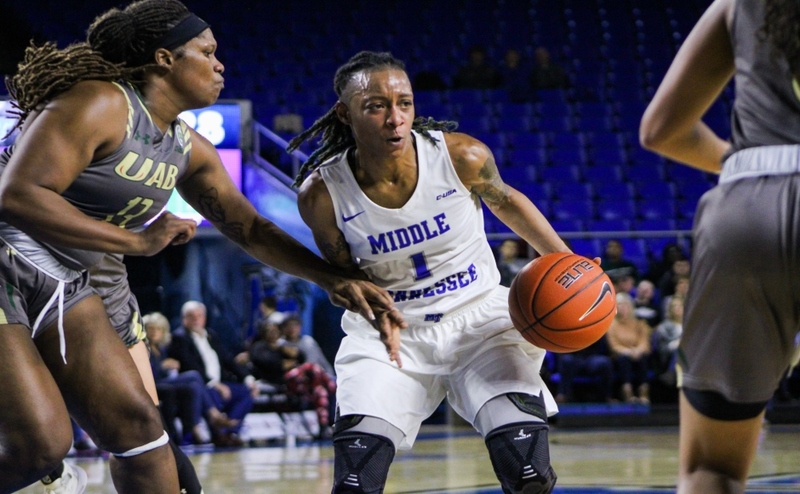 Blue Raider head coach and Hall-of-Famer Rick Insell knows that finding a point guard to replace Petty is going to be huge for his team. The group is full of potential, and Insell will have some solid options as far as who to put in the lineup. The Blue Raiders welcome back Junior Katie Collier and Sophomore Kyla Allison. 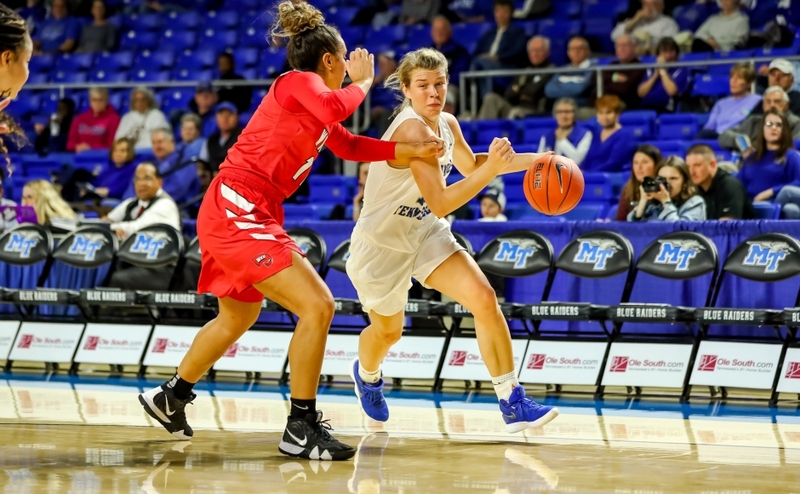 In the off-season, the Blue Raiders added two new point guards to the roster in transfer Zeynep Canbaz and true freshman Anna Jones. All four are battling for that starting spot, and they all bring different things to the team. Collier was a four-year letter-winner at the Webb School of Knoxville and was a major contributor to Webb winning three TSSAA State Championships. As a freshman, Collier saw action in 19 games, but as a sophomore she appeared in 29 games and earned seven starts. 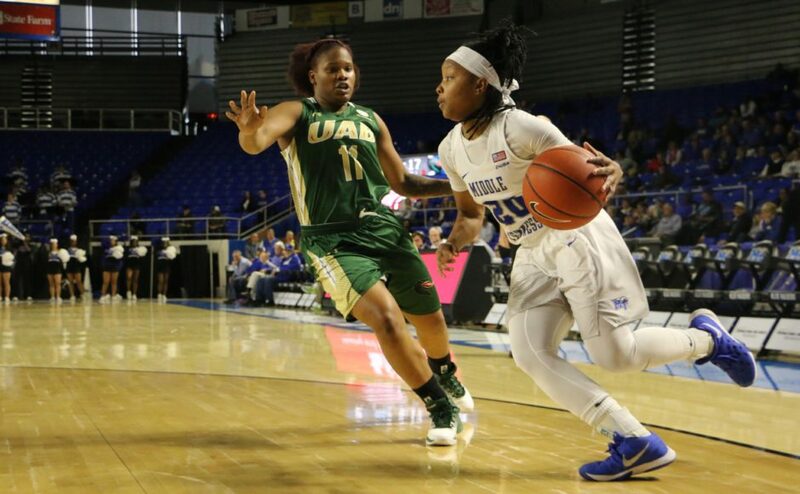 Collier is a ball-hawk, a player that the Blue Raiders can count on to hustle and dive on the floor after a loose ball. Although they can rely on her at the defensive end of the floor, she will need to improve her offensive game. Last season, Collier only hit five of her 38 shots from the field and connected on only three of 20 shots from behind the arc. If Collier has improved her game at the offensive end of the floor, she will play a key role in replacing Petty. Allison came to the Blue Raiders as a three-star prospect from Wekiva High School in Orlando, Florida. As a freshman, Allison appeared in 29 games, earned 12 starts and scored a career-high 13 points against Marshall. Allison plays like a street ball-player with a lot of swagger. She is very creative with the ball, sees the floor very well and shoots good percentages from the floor and behind the arc. However, she turned the ball over 25 times last season. If Allison takes better care of the ball and becomes a better defender, she will be a very productive guard for the Blue Raiders. Canbaz is from Istanbul, Turkey, and played her freshman and sophomore years at Western Nebraska Community College. 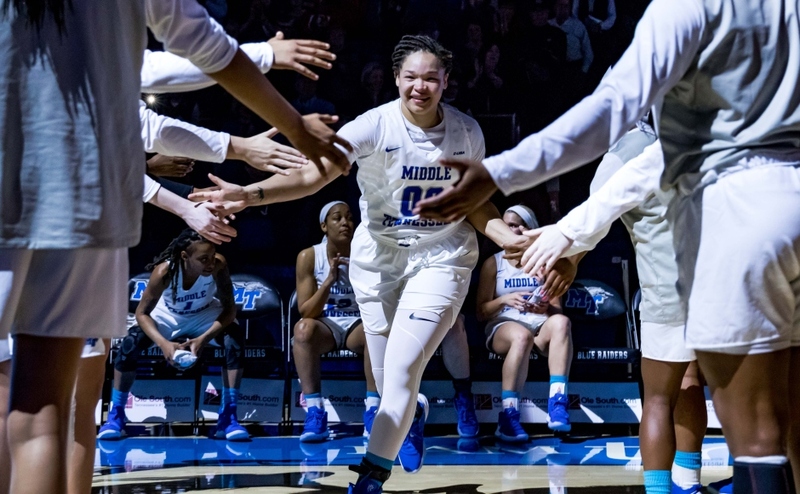 With two years of eligibility left, she decided to transfer to Middle Tennessee. While at Western Nebraska she showed that she has great vision and can get her teammates involved. During her two-year career, she facilitated 185 assists and finished 13th on the career assist list. She also scored 566 points and hit 44 threes. Canbaz needs to continue to be a good passer if she wants to be the Blue Raiders starting point guard. Jones is a freshman sharpshooter out of Jackson, Tennessee. She was a four-time All-State selection and three-time Tennessee Miss Basketball Finalist at the University School of Jackson. Jones comes to MT after scoring 2,794 career points in high school. She also played AAU basketball for the Tennessee Flight and was coached by Rick Insell’s son Tom. 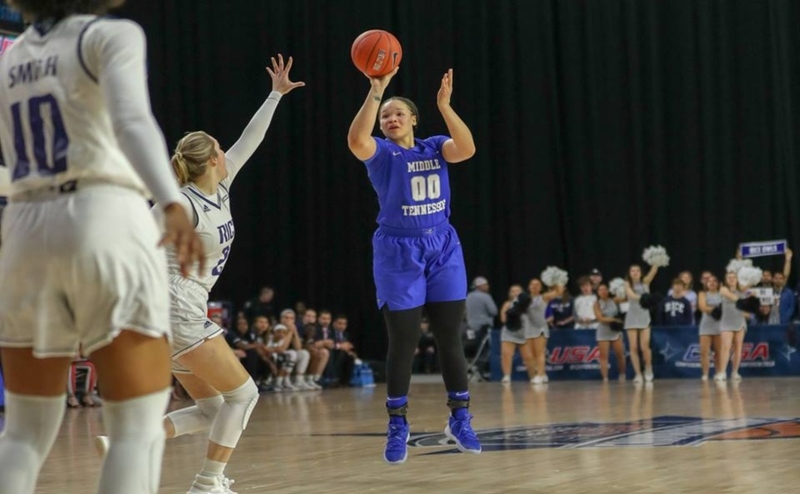 If Jones is able to transfer her steller high school career into college, the Blue Raiders might have themselves a deadly three-point shooter for the years to come. The Lady Raiders will be in action on Sunday at 3 p.m. when they play host to Tennessee Wesleyan University.